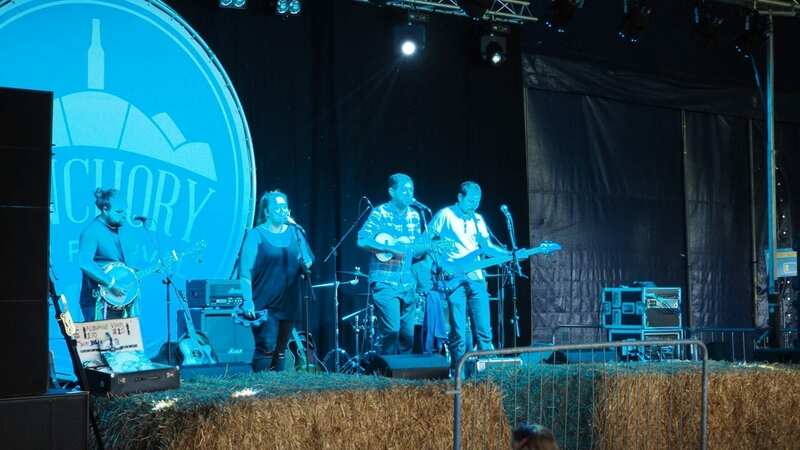 The Banchory Beer Festival is a weekend long event that has now just celebrated its 5th year running. As the name would suggest it’s held in Banchory at the Deeside Rugby Pitches and ran from Friday 10 – Sunday 12 August 2018. I was invited along on the Sunday to the Family Friendly day where you can bring along your children to be entertained by a bouncy castle, bouncy slide and a face painter. As Noah had the cold I went on my own but Mummy Mimi let me tag along with her for the afternoon. I also met Louise from SociABLE Events who was there with her son. 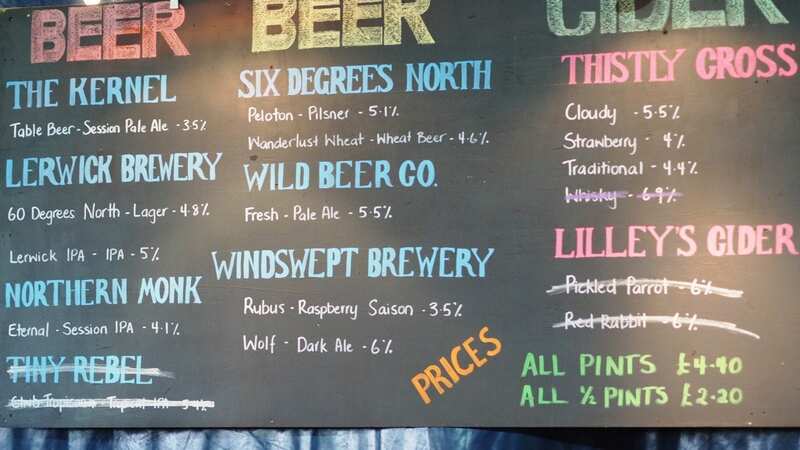 When I arrived at the Banchory Beer Festival I was given a pink wristband, a reusable half pint cup, a token for a free half pint plus some info. After having a heatwave this Summer the weather decided that this was the weekend it was going to rain! 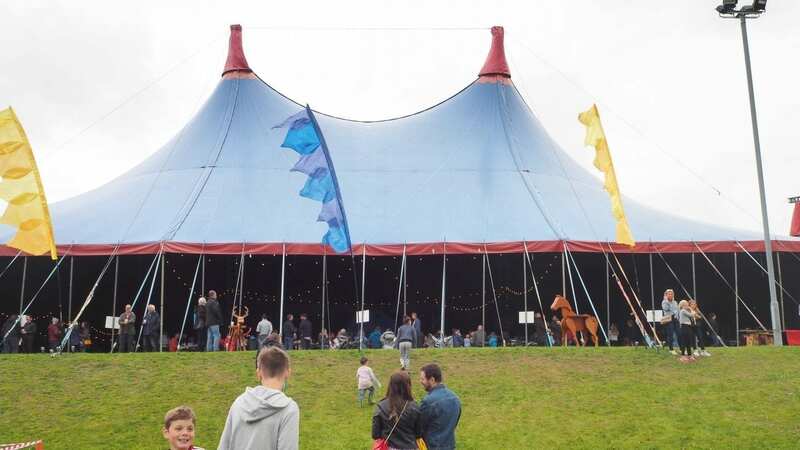 Luckily there was a huge circus tent where the bars and the live bands were. Inside there was 2 bars; one for the beer and cider and the other for prosecco, gin and rum. As I’m not a beer drinker I decided to buy a glass of prosecco but as the token only allows you to have a half glass you have to pay for the rest. 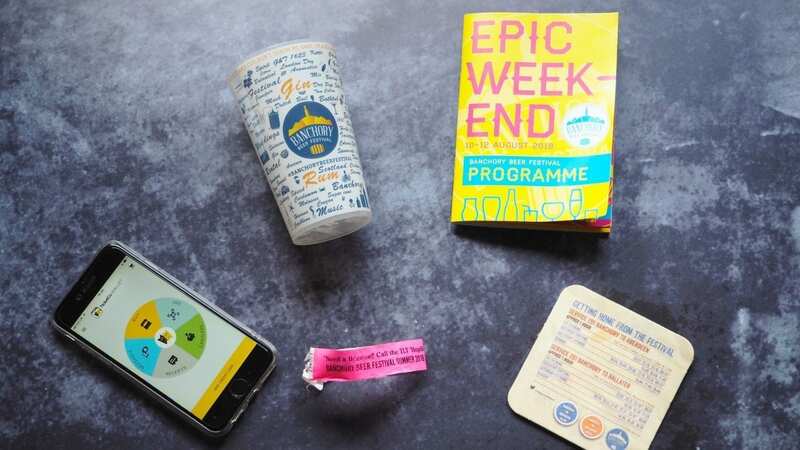 There was a cashless system where you download the TicketCo app, enter your payment details and top up with however much you wanted to spend. All you had to do was show your phone at the bar and they scanned your QR code to deduct your bar bill. There was also a kiosk on site where you could purchase a card that you topped up if apps aren’t your thing. 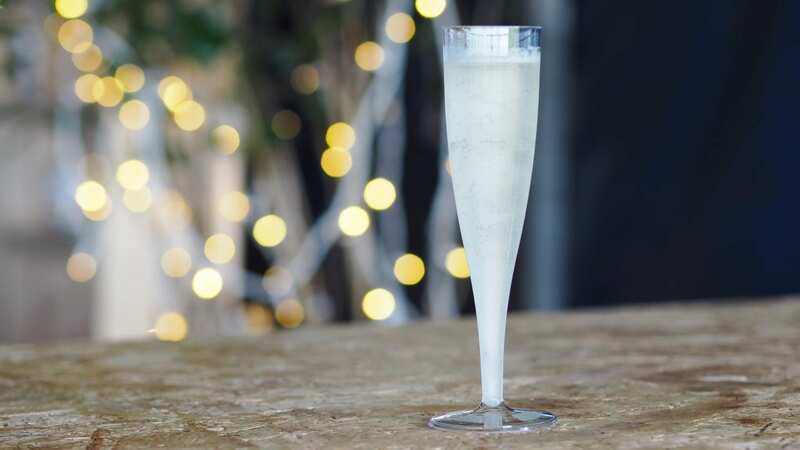 My first drink was a prosecco (Casagheller Frizzante), which I didn’t particularly enjoy as I found it a bit dry even though it was a medium. I then decided to go for a cider at the other bar and ordered myself a half pint of Thistly Cross Strawberry. Wow! This tasted so good! It was almost like drinking juice as you couldn’t taste any alcohol at all. I then bought a pint of it and as it was the first time that I had been drinking in over a year it’s fair to say that I was a bit tipsy. 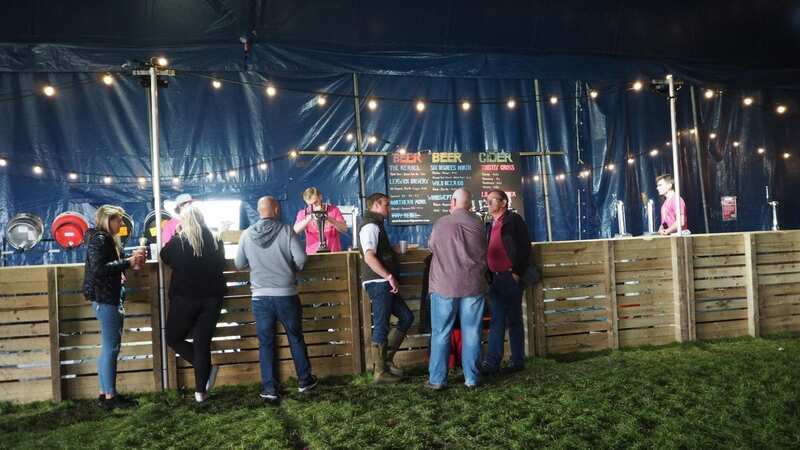 There was certainly a huge choice of beers, ciders, gins, proseccos and rums on offer at the festival, there would be something there that would appeal to you plus it’s fun trying to find a new favourite drink! There were pizza, burgers, Indian food and ice cream on offer and that’s where it became a problem for me. Obviously being gluten/dairy free pizza was out, as was the ice cream. The burgers were gluten free but venison and pheasant burgers didn’t really appeal to me a) because Bambi and b) as I live next to a farm there are lots of pheasants at the back of our house so I would feel a bit guilty. There was dairy in some of the Indian dishes as well as gluten so a portion of chips it was then. 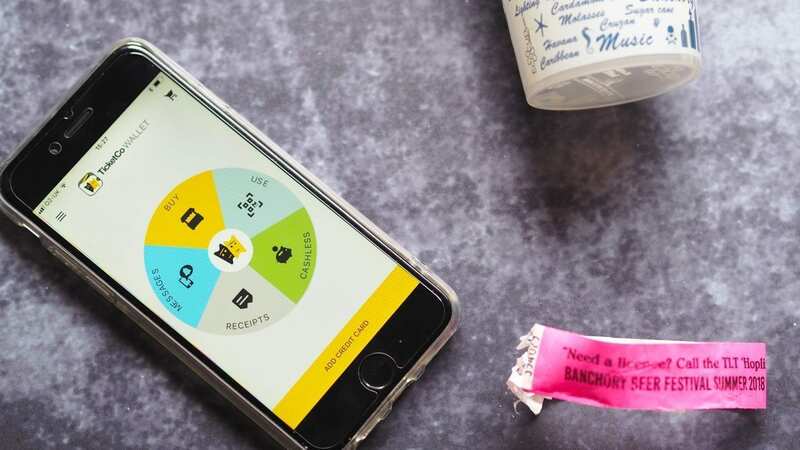 I think if you have food intolerances then you will struggle to find things to eat especially as you aren’t allowed to bring your own food along to the festival. The live music that was on was actually really good. I had never heard of any of the acts playing but they certainly entertained me. Have Mercy Las Vegas were my favourite and when they covered Jump in Line by Harry Belafonte it really got people moving. If you don’t know that song it’s the one that plays at the end of the film Beetlejuice. 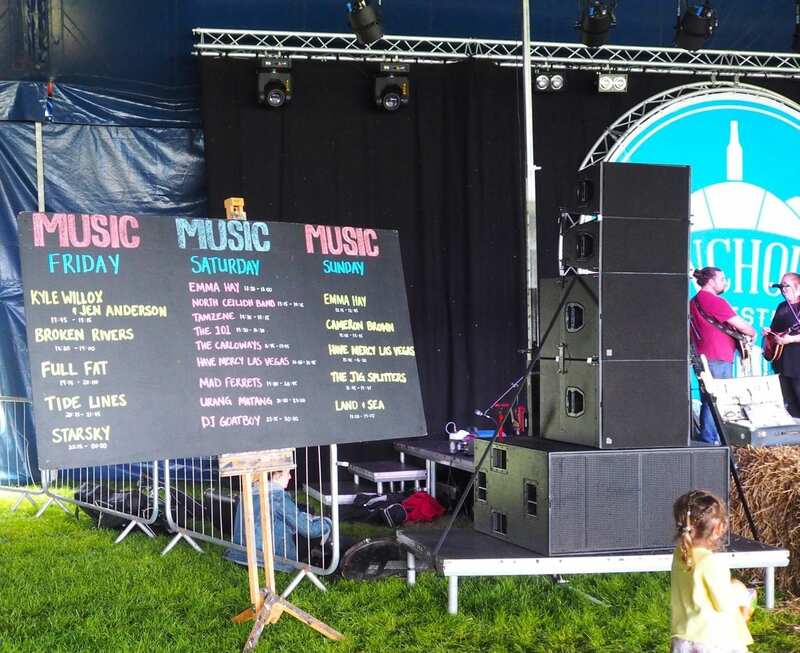 There were quite a lot of acts on over the weekend all playing different genres so there would be something for everyone’s taste I’m sure. As Sunday was the family day there was entertainment put on for the children. As it was a bit drizzly there were quite a few of the younger children in the tent up on the dance floor. The advertised entertainment included bouncy castles, a face painter as well as a balloon modeller and magician. There were plenty of kids using the bouncy castle and slide, so there was a bit of a queue for that unless you were small enough to get away with fitting through the gap in between the slide like some of the younger ones managed to do 😀. The face painter seemed quite popular as well when we went over for Michelle’s son to get his face painted. You could also get glitter tattoos if you wished. One thing that I had noticed was there was no sign of the balloon artist/magician that was advertised. 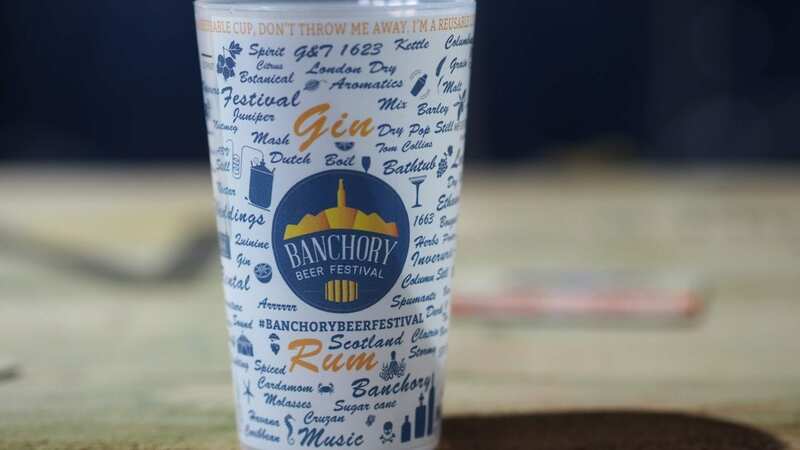 The Banchory Beer Festival has a lot going for it with a huge choice of drinks available, it has an amazing atmosphere and the live bands that I saw were incredible. I did feel a bit disappointed in the choice of food on offer due to food intolerances though. 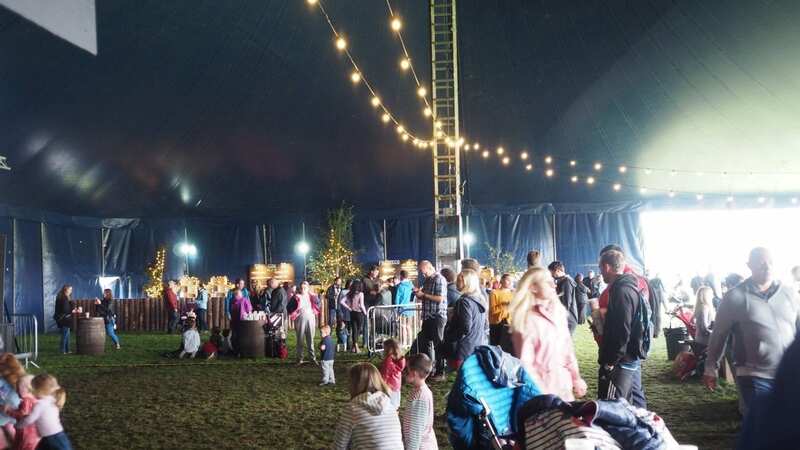 It is definitely worth going to as it is so much more than just a beer festival and I’m guessing that the Friday/Saturday is a bit more raucous than the Sunday Family Day. With the family day I think they could have put on a bit more entertainment for the children as I didn’t think that the bouncy castle/face painting was enough to keep under 12s occupied. Something like having a superhero or cartoon character there that they could meet, a puppet show or even someone with circus skills such as a juggler, stilt walker, etc. Also it may have been something I missed but I couldn’t see any baby changing facilities as there were some children in buggies that would likely need to be changed if you were there for a few hours. 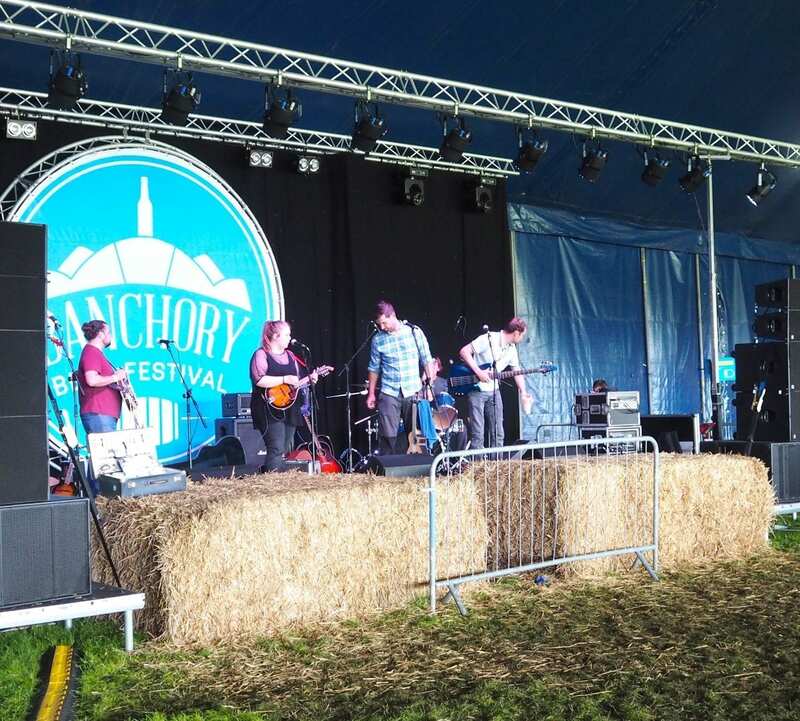 Have you been to the Banchory Beer Festival? What was your favourite drink? It was lovely to meet you briefly at the festival… have you seen the photo of us on the Banchory beer festival Facebook page? It’s not a bad one. Have Mercy Las Vegas was my favourite from the bands I caught there too. This sounds like it was such a good event. I can’t believe that I missed it. Next time though.